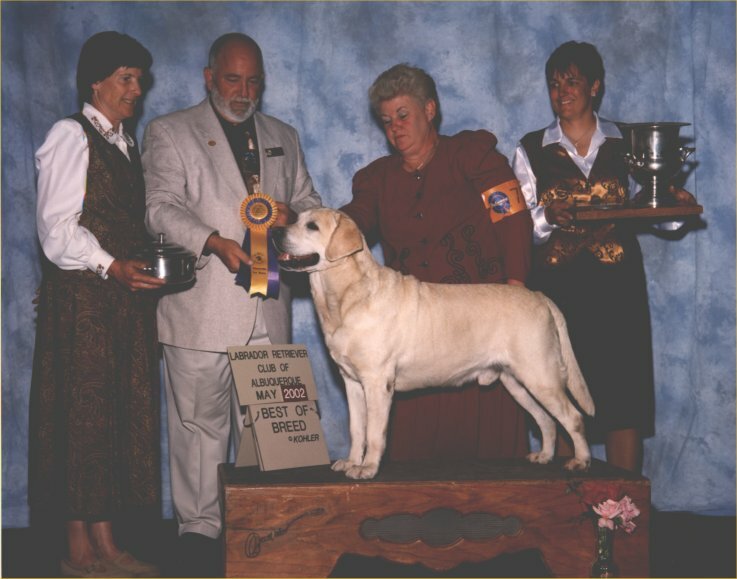 We've been lucky to have four Specialty Best of Breed labradors reside at either Ms T's Labradors or Char-Don Labradors over the years. Janet's Page, BISS Ch CharDons Mistress Page, was Janet's first homebred BISS and Jingles, BISS Ch Belgairn Layney Jingle Bells, was her second BISS that she finished. Toadd, BISS Am Can Mex Intl Ch SR Ms T's Bo-Mar Been There Done That CD JH WCX, was Terri's first BISS. Tio, BISS Ch Belgairn Pictionary RN JH, was already a BISS when he came to live at Ms T's and Char-Don, but he was our second BISS to put the performance titles on also. 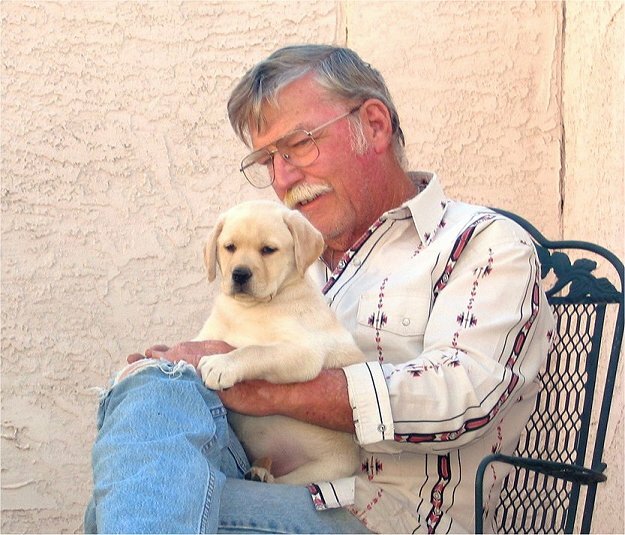 Janet and Don Schoonover are Char-Don Labradors and reside in Goodyear, AZ. They go back over 40 years in labradors, starting out doing field work and obedience before venturing into the conformation arena. 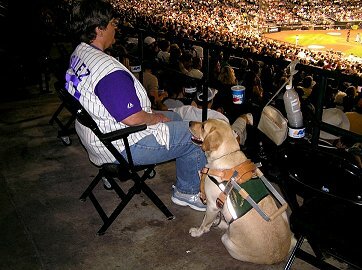 Terri McFadden is Ms T's Labradors, residing in Mesa, AZ. She started out with her first lab, a rescue, in 1973, and after getting her first purebred lab in 1978, she was hooked. Currently, Janet is the conformation handler while Terri does the obedience and field work, though we both participate in all three arenas. 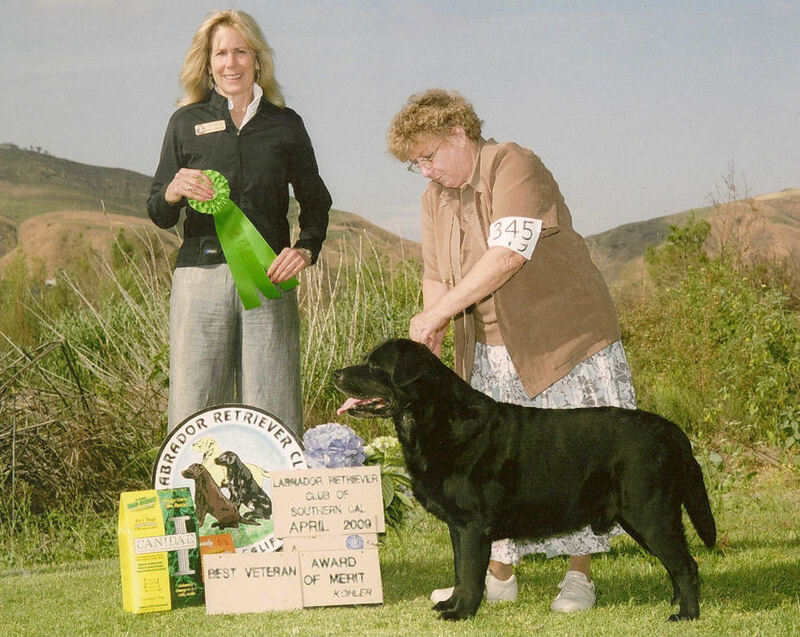 Janet is currently an ASCA conformation and junior judge, while working on the requirements for her AKC judging license for labradors. 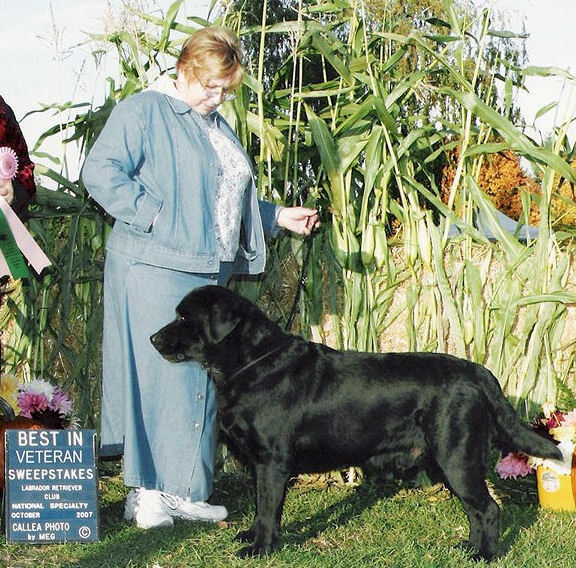 She has been active in judging sweepstakes at several labrador specialties. 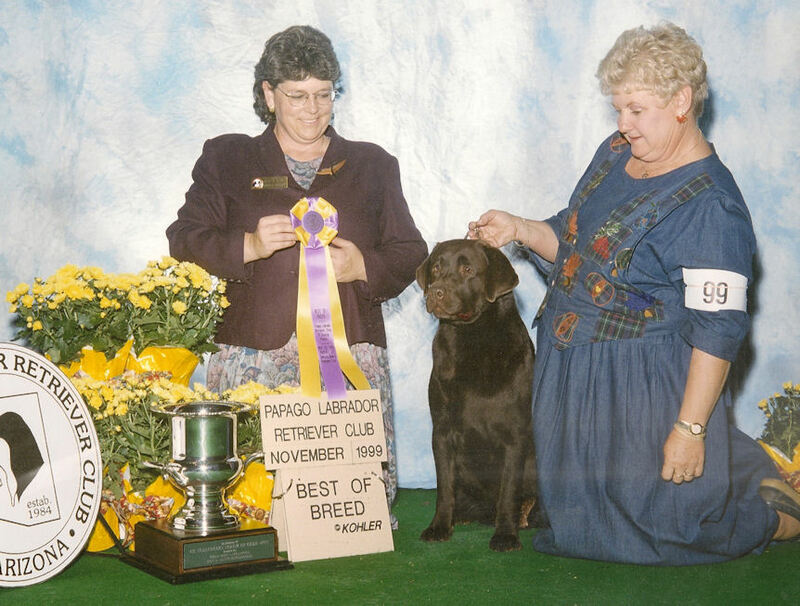 Janet and Don are members of the Papago Labrador Retriever Club of Greater Phoenix (PLRC) and the Copper State Hunting Retriever Club. 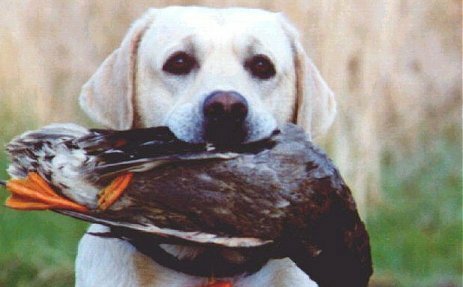 Terri is a member of the Labrador Retriever Club, Inc (LRC), Superstition Kennel Club, Puget Sound Labrador Retriever Association, and the Copper State Hunting Retriever Club. Terri is currently the LRC National Rescue Coordinator. We currently co-own almost all the dogs between our two kennels, with the exception of two of Janet's older dogs. 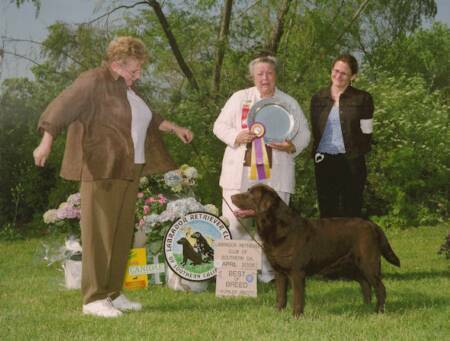 The joining of the two kennels in 1999 has produced several champions, including those with titles at both ends. We test our labs for hip and elbow dysplasia (OFA), CERF, Heart, (echocardiograms), PRA, and EIC. We sell our puppies on Limited Registration, with very few exceptions. Between our two kennels, we rarely breed, and when we do the intention is to breed for sound temperament and health as the majority of the puppies become family members and both the qualities of temperament and health are foremost in those situations. Some of our pups are now service dogs, therapy dogs, as well as Search and Rescue dogs. Welcome to our combined website and enjoy.